My Clean Eating Turkey Chilli makes around 6 servings, and since there are only 2 Adults and 2 Children in my home, I always end up with a little leftover. I LOVE leftovers! There is not a lot that soothes a tired mother more than knowing dinner is already made, in the fridge ready to be reheated. 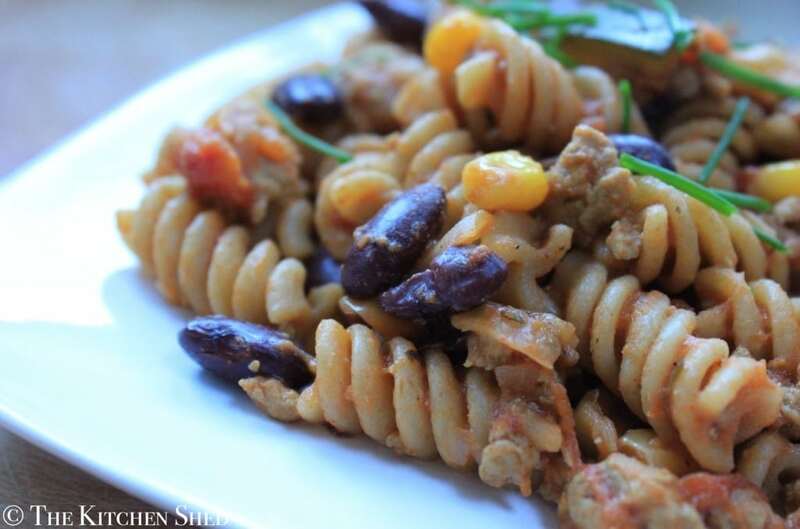 Because I am not a huge fan of eating the same thing two days in a row, I like to shake things up a little bit and serve my chilli with some wholewheat pasta. We all loved this meal. My Husband added some extra hot sauce and a little sour cream to his. He was a happy man! 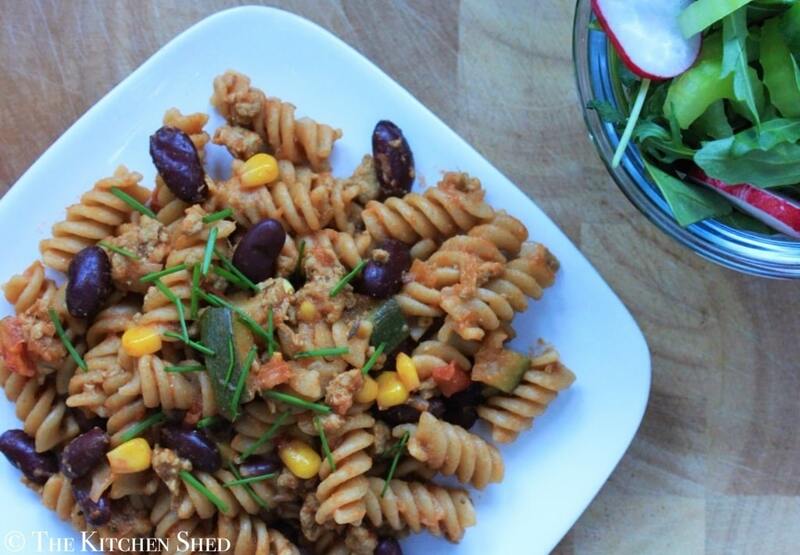 Clean Eating Leftover Chilli Pasta is the ultimate comfort food. It is super quick and easy to put together after a busy day. 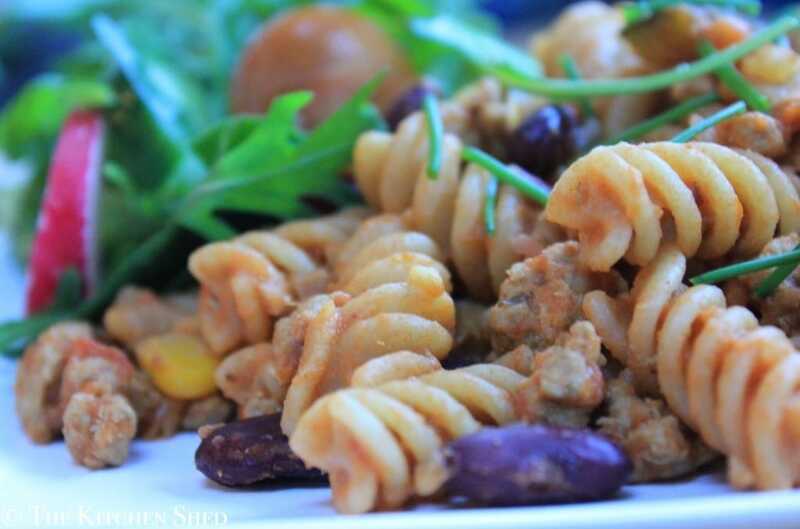 Serve it with a large side salad and you are good to go! What are your favourite leftovers? Whilst the pasta is cooking, reheat the leftover chilli in a saucepan and let it simmer until completely heated through. Once the pasta is cooked, drain it and pour it into the reheated chilli. Stir to combine and serve with a side salad.